With the ever-increasing need for electrical power, it is critical that power generation plants continue running smoothly and efficiently. The need for quality compressed air delivered consistently at the appropriate pressure and level of dryness is absolutely critical. With over 25 years of experience in working with power generation facilities, we can provide the technical know-how to keep the power flowing. From hand tools to power transmission, material transport and other fluid power processes, The Titus Company has the expertise to keep your production equipment humming. No matter how sophisticated the compressed air use we can make your system more reliable and cost effective. High quality compressed air and nitrogen are critical for pharmaceutical and other life science applications. 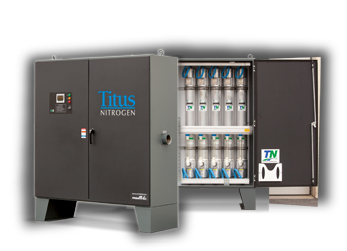 With high quality oil-free compressors, high efficiency filtration and nitrogen generation systems, The Titus Company can ensure that all requirements for material transport, blending, storage and production processes are kept clean and running smoothly. Applications do not get much tougher or more critical than those requiring compressed air in the chemical and petrochemical industries. High quality equipment coupled with superior application expertise allows The Titus Company to provide sound solutions to the compressed air challenges found in these environments. Clean, oil-free compressed air is a must for food and beverage companies dealing with FDA compliance. 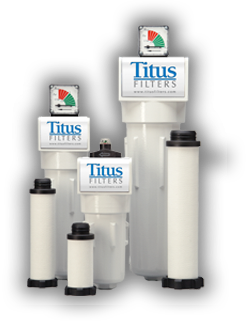 With the best oil-free compressors on the market, high quality filtration and drying solutions and on-site nitrogen generation systems, The Titus Company can handle all of the material storage, conveyance and packaging needs in these demanding applications. Wherever compressed air and gas systems are used, The Titus Company provides superior expertise and the capability to serve a wide range of needs from Fortune 500 companies to local businesses. We have been providing solutions to compressed air and gas problems for almost 30 years. We welcome the opportunity to serve you. For an example of The Titus Company’s capabilities, read this article about us that was published in Compressed Air Best Practices magazine. Who Is The Titus Company? The Titus Company is a provider of air compressors, air dryers and air compressor service that has been operating throughout Delaware, New Jersey and Pennsylvania and Southern New York for over 30 years. 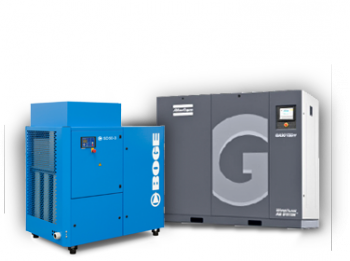 We offer top-of-the-line air compressors and related products as well as highly skilled air compressor repair technicians who can perform air compressor maintenance ensuring that you get the maximum benefits from your air compressors year-round. What Can Titus Systems Do for You? If your industry requires high quality compressed air at all times to keep your facility functioning properly, we can help. 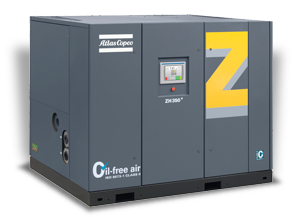 We offer air compressors of varying types and sizes to suit the needs of your specific industry. We are able to service small companies or large ones, from local shops to major Fortune 500 companies. We are even the largest air dryer supplier for several nuclear, naval and military facilities across the globe. 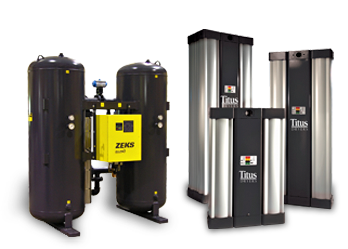 If you need air compressors, air dryers or air compressor maintenance, The Titus Company is the company to call.